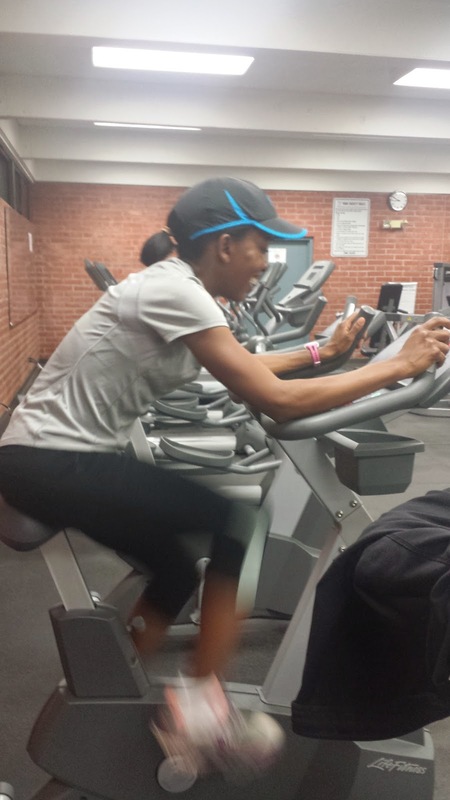 I am so excited to link up with Runner's Connect to share my training for the Boston Marathon (my first!) on April 20th! My base training for the past six weeks has been as an injured runner with a stress fracture in my knee. After 6 weeks (!) of no running, I am excited to go in this week for another MRI and the goal is to be back on the road running again next week. I was originally thinking that I would have only 12 weeks to train, but if I can start next week, I will have 14 weeks of training for the race. Fingers crossed and praying for a healed knee! 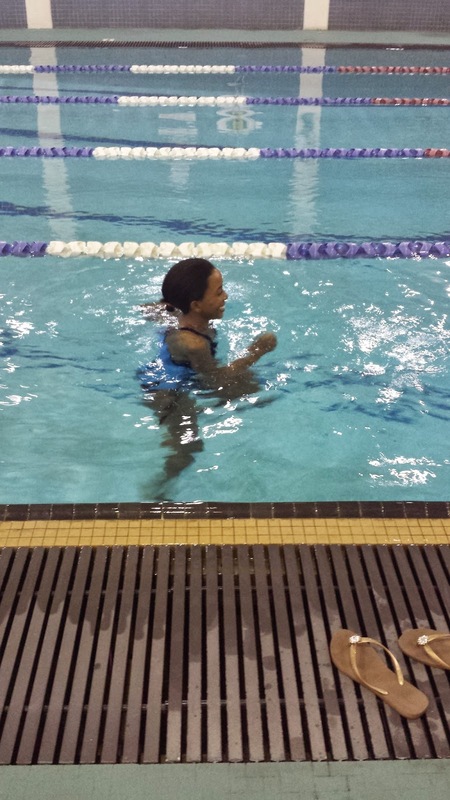 As I have been sharing in my blog, I have been heavily cross training during my injury with lots of time on the stationary bike and pool running. I also am doing extensive core work every day except one day of rest. 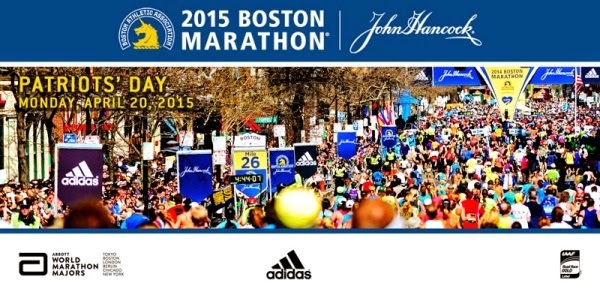 I have never been injured going into marathon training before, so this is a new adventure! My hope is that I will stay fit enough so that I can ease into running and then training next week. My coach, Mark Hadley of Maximum Performance Running is guiding me through the process and I am excited to be working with him! How much water should we be drinking on a daily basis? We all know that water is so important for our bodies and hydration is key for top performance, but how much do we really need? 32 ounces of water (which equals four - 8 ounce glasses) is the common recommendation. Also, eating more fruits and vegetables will allow us as athletes to rehydrate in addition to our water intake. You can read about it in detail HERE! Sometimes drinking plain water all day can get a bit boring (yawn), but there are lots of creative ways you can jazz it up and make it tasty and fun! Cucumbers, lemons, limes, orange slices, strawberries and blackberries are just a brief sample of how to make your water delicious. This makes it super easy for me to stay hydrated all day. I made a really yummy soup and I'd love to share the recipe with you! This basic chicken soup is a wonderfully easy recipe from Martha Stewart. I added white rice with lemon zest and the juice from the lemon to give it a greek feel. My whole family LOVED it. You can find the greek soup recipe HERE and I improvised to make it a bit simpler than the recipe. I added a fresh salad with spinach, organic tomato and carrots with a bit of olive oil and balsamic vinegar as a light dressing. Lastly, I made a delicious cornbread to complete the meal. It was perfect for a winter evening. Use two medium sized bowls. Pour the wet ingredients into the dry ingredients. Stir just until mixed. Pour into a greased 8 or 9 inch round or square pan. Bake for 18-20 minutes and serve. ** Water in different languages: Spanish, Slovak, French, Polish and Norwegian. How many marathons are you planning to run in 2015? I plan on running two marathons this year. What is the farthest distance you've ever traveled for a race? I traveled to Chicago for the marathon in 2004 and so far that has been the farthest distance.